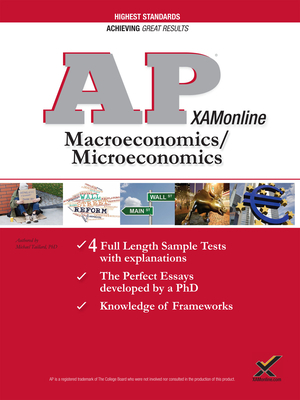 Chances are you are interested in these two tests, AP Macro/Micro, so XAMonline combined them into one book so you can save money and time. Much, but not all, of the content has overlap on the two tests so we streamlined the information so you do get both tests covered for content and true to format sample tests that allow you to test drive your knowledge of both subjects with multiple tests. The AP Macro/Micro title was written by Michael Taillard, Ph.D in Economics. It matters who instructs you because the better the question, the better your educational experience can be.